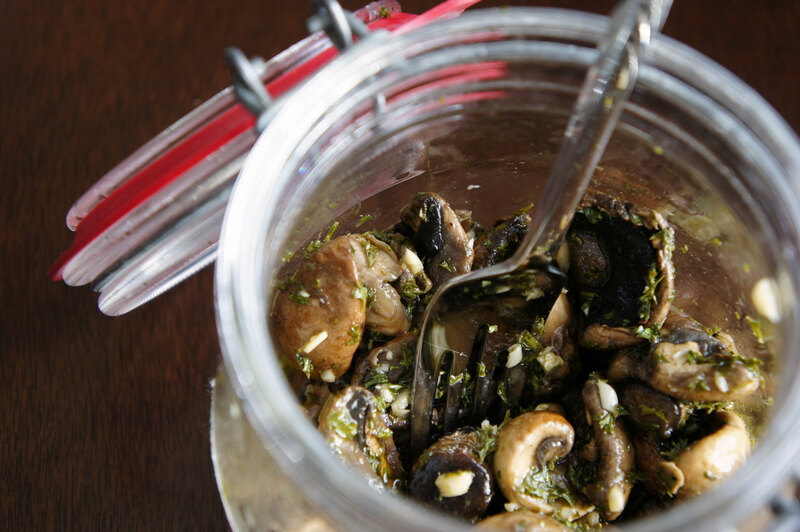 A while back, I had some marinated mushrooms from the store and wondered why the heck I'd been living my life so long without having them on a daily basis. So one shopping trip, I found myself craving marinated mushrooms but the store didn't have any. So that got me thinking about making my own and now any time I see mushrooms on clearance, I make marinated mushrooms. Because we love mushrooms. A lot. The last time I made them, however, I didn't have quite enough mushrooms so I thought I'd halve the recipe but I completely bungled the amounts and they weren't quite like the batches I remembered from the past. We still ate them, of course. Straight out of the jar or with supper. With any meat. And for lunch. 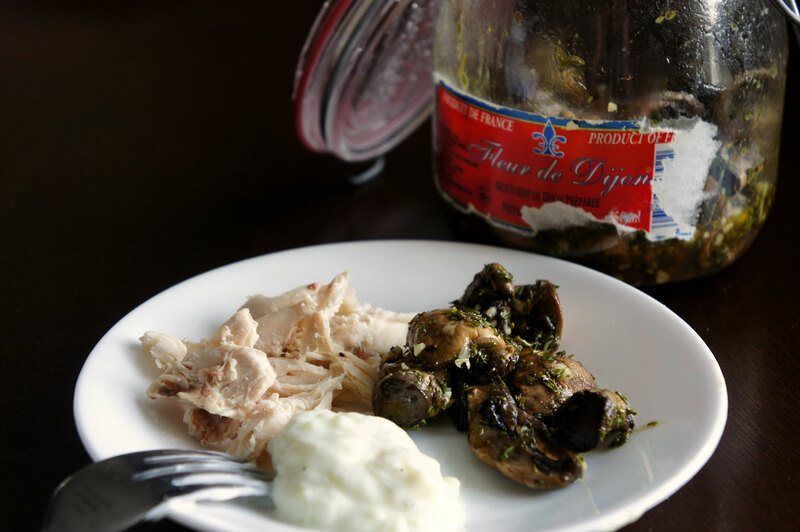 Chicken, tzatziki, mushrooms. Can't really go wrong. Find the recipe here. I suggest doing a taste test after they've sat overnight. They'll still taste like plain mushrooms if you don't give them that curing time. And I think next time I'm going to use garlic powder along with the minced garlic for a more intense garlic flavour.